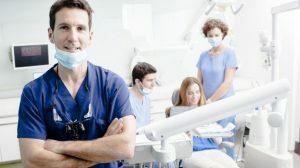 If you’re a dentist or a medical professional who owns his/her own practice, you live in a very challenging time. Managed care and government regulation is continuously putting the squeeze on your ability to operate a profitable practice. Even worse, the tax code is extremely punitive unless you understand it fully. Sadly, most professionals we meet get very little tax planning assistance. They file their taxes properly, but rarely are proactive steps taken throughout the year to take full advantage of the many strategies and shelters available. For over 15 years, we have specialized in working with medical professionals who own their practices. Through our work we’ve shown them how to not only shelter significant amounts of income (over $2 million a year) from taxes, but also how to reduce or even eliminate taxes during retirement. We encourage you to learn the difference between “tax filing” and “tax planning.” Our work is backed by our 2x’s guarantee. We guarantee that we will create a strategy that reduces your annual taxes by twice our onetime fee. In addition, we’ll show you how to increase your chances for a higher, more consistent rate of return by avoiding the investment myths of selective stock picking & market timing. You’ve worked incredibly hard to not only become a healer, but a business owner. Isn’t it time you learned the strategies and techniques others are using to maximize financial security for their family and themselves? We’d love to show you a better way.